Jaroslaw Zielinski is a Solutions Architect at Vernity in Poznan (Poland), where his responsibility is to support customers on their road to the cloud using cloud adoption patterns. 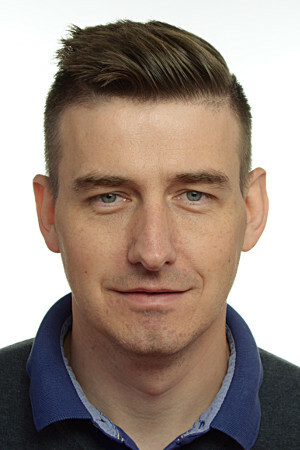 Prior to Vernity, Jaroslaw worked as a Private Cloud Expert in media monitoring company and as a consultant of virtualization and software-defined networks. Jaroslaw is a leader of AWS User Group Poland operating in 7 different cities around Poland. Additionally, he connects the community with the biggest IT conferences in the region - PLNOG, DevOpsDay, Amazon@Innovation to name just a few. He supports numerous projects connected with evangelization, like Zombie Apocalypse Workshops or Cloud Builder's Day. Bringing together various IT communities, he hosts a conference Cloud & Datacenter Day - the biggest community conference in Poland. In addition, his passion for IT is transferred into his own blog called Popołudnie w Sieci. He also publishes in various professional papers.